Bolshoi Dancer Jailed For Acid Attack Reportedly Returns For Practice : The Two-Way Pavel Dmitrichenko is back, just in practice rooms. Nearly four years ago, a Russian court convicted him in a shocking acid attack against the Ballet's then-artistic director Sergei Filin. Pavel Dmitrichenko stands inside a barred enclosure in 2013 at a courtroom in Moscow. Less than three years ago, a Russian court convicted Bolshoi Ballet dancer Pavel Dmitrichenko of ordering a shocking acid attack against the Ballet's then-artistic director Sergei Filin. Now, according to multiple media reports, officials from the legendary ballet company have granted Dmitrichenko permission to return to the building for practice – the same building where Filin continues to work. 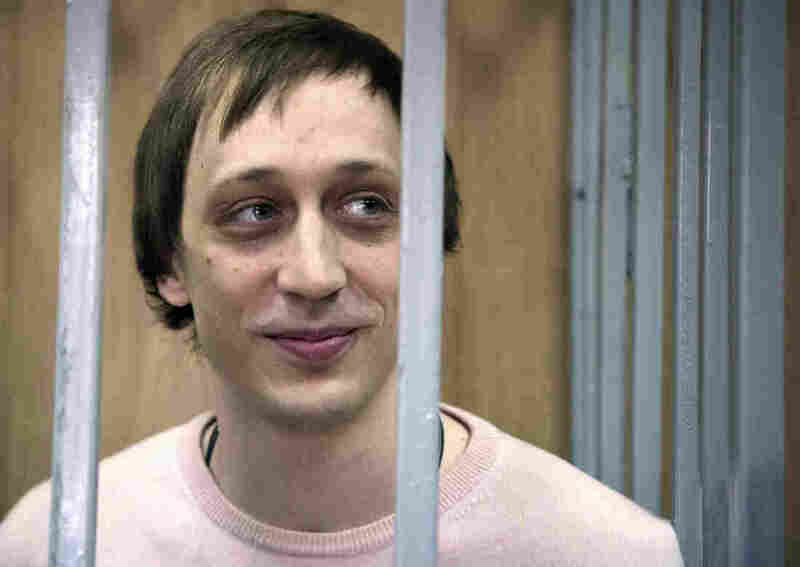 Dmitrichenko was convicted with two others and sentenced to six years in jail in December 2013. Reuters reports he was freed on parole in May. During the trial, he admitted organizing the attack, as we reported, but "told authorities that he didn't intend for acid to be used." Now he "denies any role in the events," according to The New York Times. Bolshoi management said that Dmitrichenko has now been given a pass to enter the building "at his request merely for morning exercise routines," the Times reported. "This in no way means that he will work for the Bolshoi in the future," a spokeswoman for the theater told Reuters. The attack badly burned Filin and left him partially blinded. He underwent more than two dozen surgeries, as NPR's Elizabeth Blair reported. Filin told her that "the vision in his left eye fluctuates around 50 percent" and "he can only see shadows of objects with his right eye." Filin now leads the theater's young choreographers' studio, according to Reuters. "[T]he first soloist who confessed to the crime, Pavel Dmitrichenko, his own career has been going actually quite well. However, he has a girlfriend at the theater, a young, upcoming talent from the Russian provinces, might have been disgruntled because she wanted to dance 'Swan Lake.' 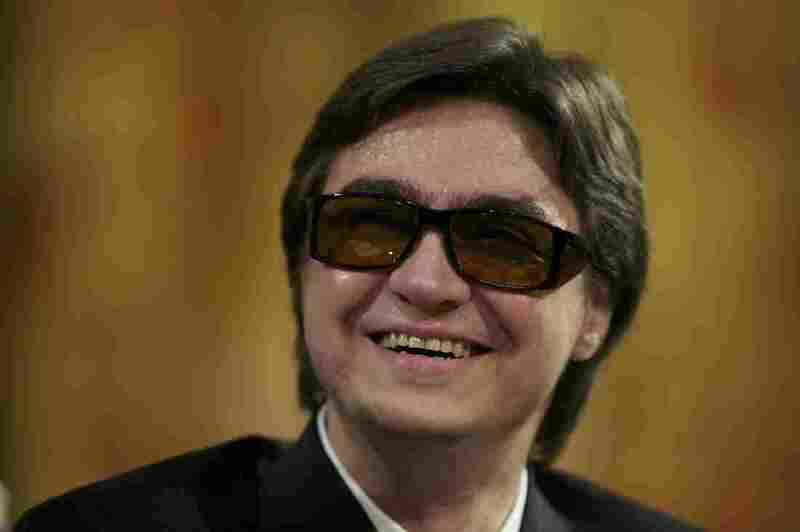 Sergei Filin thought it's still too early. She's only 20." And since he returned, Dmitrichenko told the Times that he has "encountered Mr. Filin at the theater, describing the meeting in an offhand manner as 'nothing special.'" Filin has not publicly commented on Dmitrichenko's renewed presence. In a Times interview in May prior to his release, Filin said "I don't think I feel safe" at the Bolshoi and acknowledged the possibility that Dmitrichenko could come back: "Everything is possible in this world." "Opinion in Russia's ballet world swung between questioning what some called an ethically dubious decision sure to ignite the scandal anew and considering it a kind act for someone who had already paid for a past mistake. "Basically, the rifts within the Bolshoi that led to the attack have never healed, with rank-and-file dancers tending to champion Mr. Dmitrichenko while the elite dancers favor their mentor Mr. Filin."